With thanks to BAPIA, for the 4th year running, we volunteered our time and expertise to help Great Ormond Street Children’s Hospital with balloons and decorations at their special Christmas parties for children being cared for by the Hospital. The four parties were spread over two days with around 500 guests, giving children and their families time away from the hospital wards to enjoy having fun together. 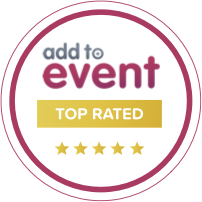 The parties were the first in the series of ‘12 Days of GOSH Xmas’, where from the 14th to 25th of December Great Ormond Street Hospital featured some of the best festive moments taking place at the hospital throughout the Christmas period. The children enjoyed fun activities such as face painting, arts & crafts, biscuit making and posing for pictures in a giant snow globe. There was an enchanting performance from the cast of Wicked, and a wonderful appearance from a choir put together by The Old Vic to get everyone into the festive spirit. Christmas would not be Christmas without Santa and he did not disappoint, surprising the children and spreading Christmas joy to all the families involved. The families were also joined by an array of celebrity friends including Emma Bunton, Stephen Mulhern, Nick Grimshaw and Dan Beasley-Harling from this year’s Great British Bake off. 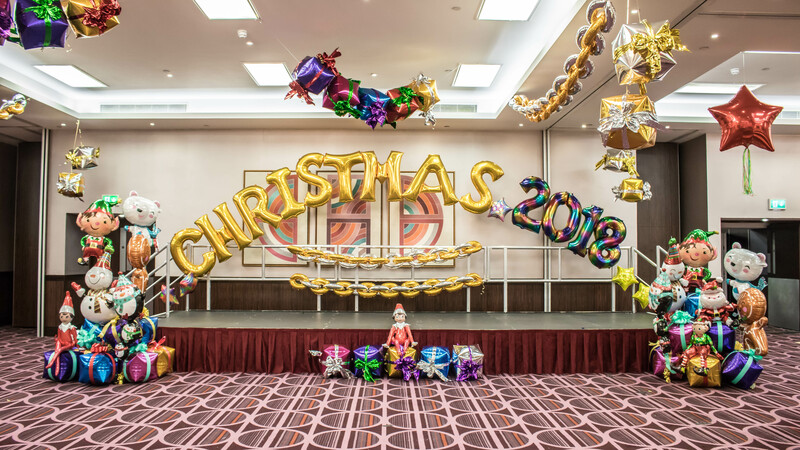 We, along with 20 other balloon professionals, spent the day with GOSH creating arches and a spectacle of other balloons including festive chains, baubles, presents, a helicopter and an aeroplane. The show stopper was the beautifully designed stage area filled with letter balloons spelling out ‘Happy Christmas’ for all of the children to enjoy. The balloons were all latex-free due to allergy concerns for some of the children at the hospital, and the décor was made to last as it was being used for four separate parties over two days.